Trump, who is an outsider in comparison with establishment presidents of the past, is the first to really confront NATO on its spending, or lack thereof, to meet its commitment of two percent of GDP. This confrontation has become so contentious that there is mounting concern over the future of NATO altogether. President Trump believes the lack of financial commitment from other NATO members puts an even greater burden on the United States to shore up NATO's new defense plan to counter any Russian attacks, referred to as the 30-30-30-30 approach – 30 land battalions, 30 ships, 30 aircraft squadrons, with deployment within 30 days. The question is whose troops would be in the lead. 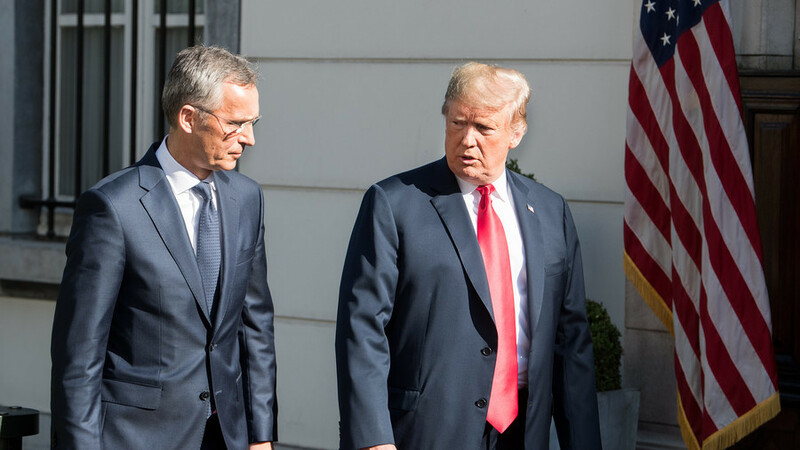 Trump's tug-of-war with NATO members also reflects a deeper suspicion of Trump and his outlook for NATO's very existence. Trump has said that if the members were to dedicate more money to their own defense, it would lessen the burden on the US, which has serious financial burdens apart from shoring up NATO. He also believes that NATO countries need the US more than the US needs NATO, since the US isn't fearful of a Russian attack. Trump has recently enunciated a new strategic defense initiative policy that defines Russia as an 'adversary'. That policy change was foisted on Trump by the more established anti-Russia neo-conservatives who view Russia as an enemy and have never emerged from their Cold War mindset. The neo-cons, Democrats in Congress, and even the Deep State of the US intelligence community need Russia as an antagonist not only to justify their continued influence in Washington's national security decisions, but also the massive government spending on defense, which just topped $716 billion for fiscal year 2019, of which Russian military spending is less than a quarter of that amount. Admittedly, most of the calls to expand and grow NATO at a time of financial chaos among its members come from recent additions such as the Baltic States, Romania, and Poland – all of whom would like for the US to establish forward bases in their countries. 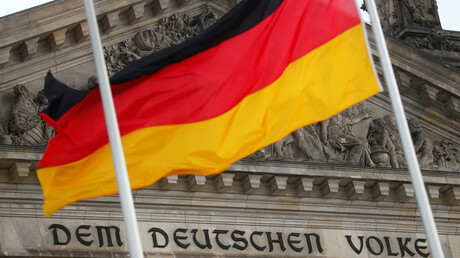 France and Germany, which already have a sizeable US presence in their countries, instead seek more cooperation with Russia, as do the member states of southern Europe. They recently joined the alliance and border the Russian Federation, all of which makes Moscow feel threatened with increased NATO encroachment. Because the West, especially the US, needs Russia as a rival, they all saw the need to expand NATO to justify the continued existence of NATO. 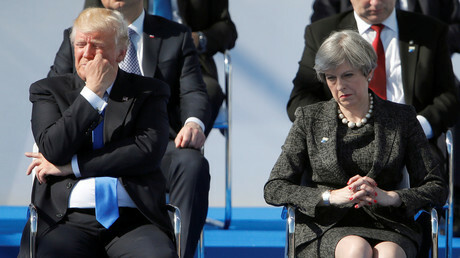 In so doing, the West, especially the US, violated a solemn commitment not to expand NATO beyond its Cold War borders. The NATO countries, however, say that such expansion is justified because of the so-called intervention of Moscow in eastern Ukraine in 2014, and what they call "the annexation of Crimea." However, former President Bill Clinton, as far back as 1999, began the expansion of the alliance into what were former Warsaw Pact countries. Clinton in effect went against assurances given to Mikhail Gorbachev if Germany were reunified. Clinton's motives were to try and keep Russian influence out of Europe, despite Europeans, particularly Germany, seeking more economic and political cooperation with Russia. Then the Ukrainian coup took place, spawned by the US and other Western countries in an effort to bring Kiev into the European Union and NATO. "The US Assistant Secretary of State in the Obama administration, Victoria Nuland, has admitted that since 1991, Washington had spent upwards of $5 billion on 'pro-democracy initiatives' in Ukraine,"said former career diplomat M. K. Bhadrakumar. Since the end of the Cold War, there has been a race for the US to maintain its influence throughout Europe out of concern for Russia's ability to extend its own influence, particularly into former Warsaw Pact members and then into western Europe itself. The US sees this with Europe's growing dependence on Russia as a source of energy, whether oil or natural gas imports. Trump is simply raising questions on financing and the underlying mission that should have been raised a long time ago.